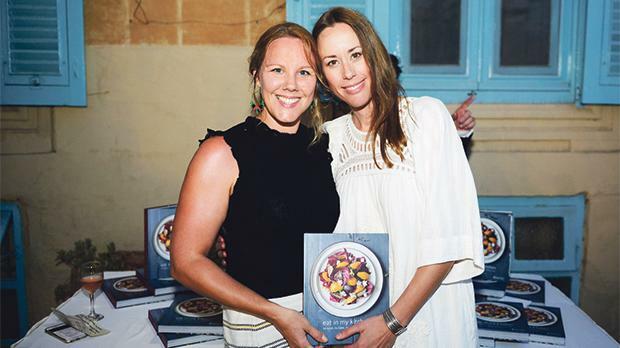 Eat in my Kitchen, a cookbook featuring Maltese, Mediterranean, German and American recipes by German food blogger Meike Peters was launched at Villa Bologna in Attard. She is seen here (second from left) with Emma Cook. Iggy Fenech, Carina Camilleri and Monique Chambers.